I'm sure if you're based in the UK like i am, you will have noticed a new magazine on the shelves in WHSmiths. Digital Film Maker is aimed at the indie film maker and anyone interested in making films with the new technology available to us today. It's already had some great interviews with up and coming Directors and some great established talent. There's loads of useful hints and tips and every month there's articles coving the behind the scenes stuff we all feed on for inspiration and insider knowledge. 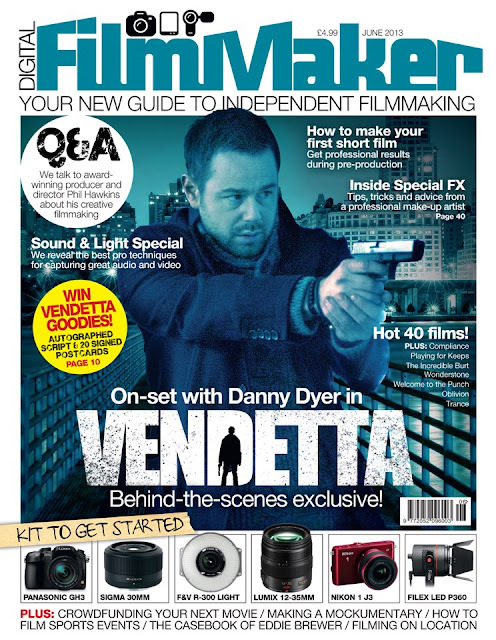 I'm pleased to say that i'm contributing to the magazine with a few articles based on my experiences of being a Director and Producer on two micro-budget feature films. The first one of these articles looks at how to cope with being both a Producer and Director in the lead up to principal photography. It's on sale sometime at the beginning of June. I must admit that i wasn't sure a monthly print magazine would be able to find a place now that we all read blogs and online news which is pretty instant...BUT, i haven't been able to put my copies of DFM down. They have very in-depth interviews and cover such a wide range of the industry that i find myself reading about projects i might not usually think i was interested in. It's definitely worth picking up a copy to read while rendering your latest masterpiece.